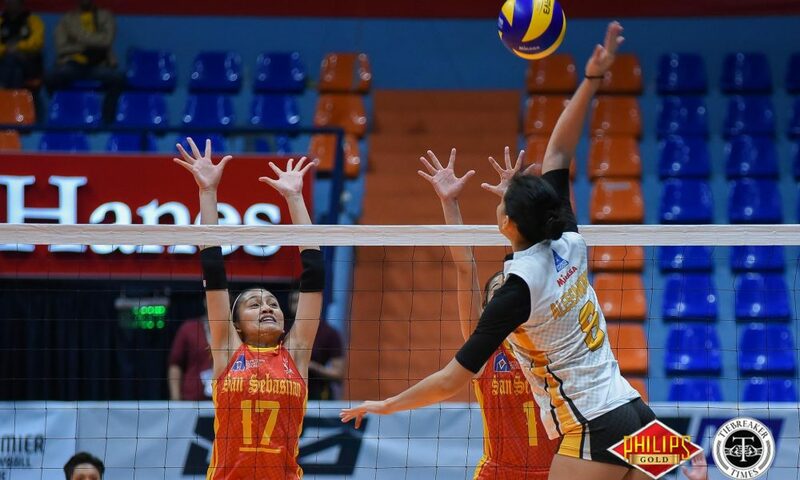 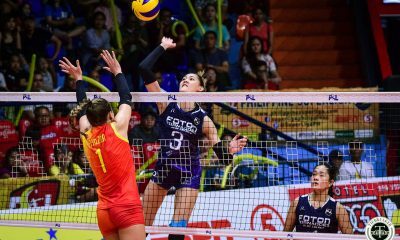 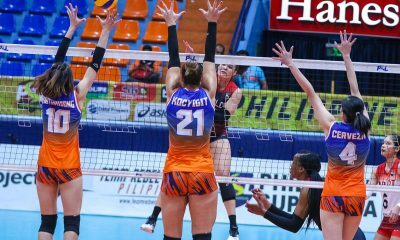 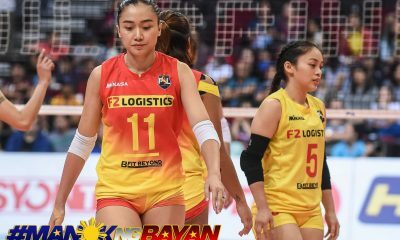 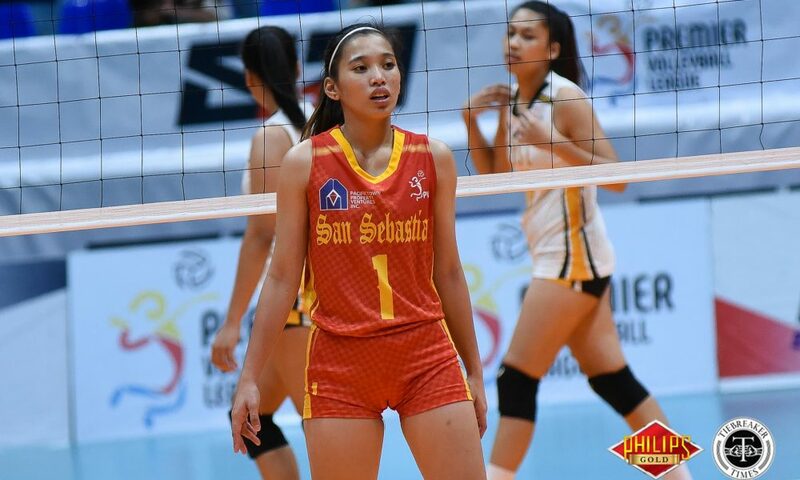 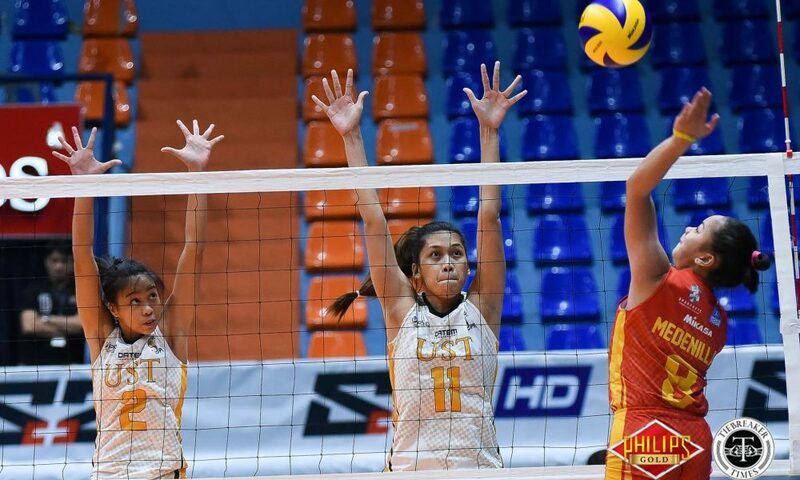 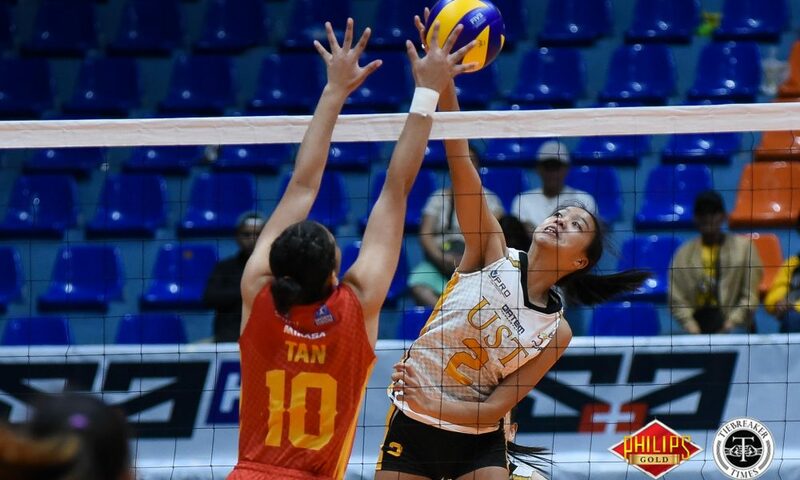 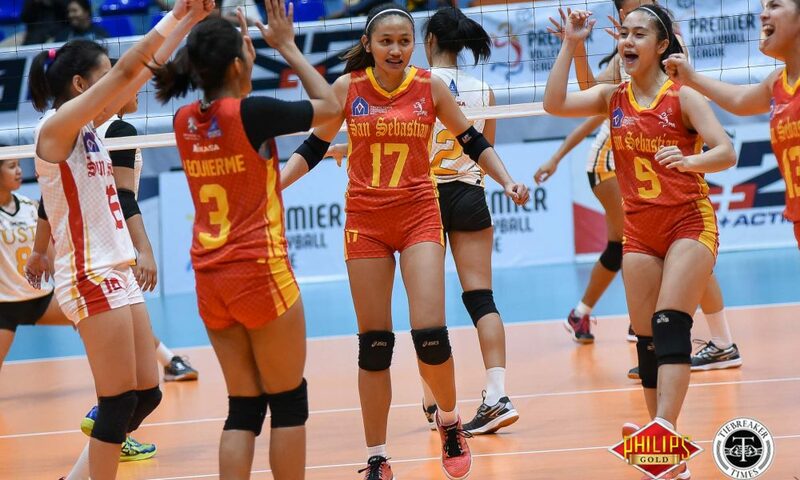 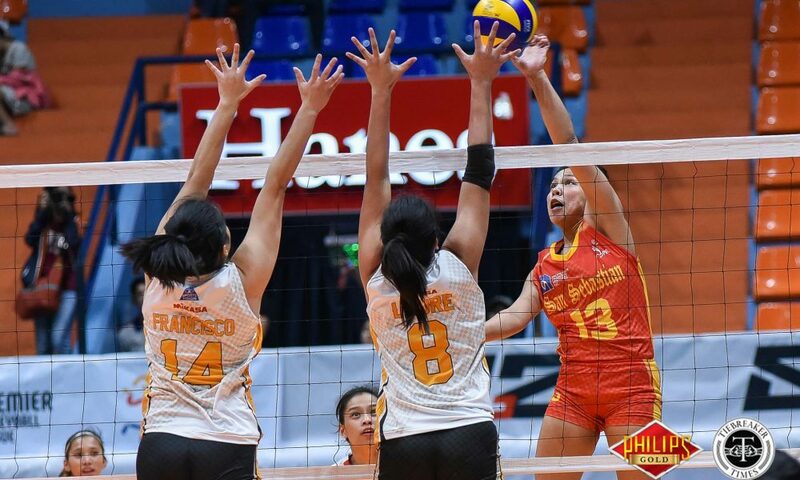 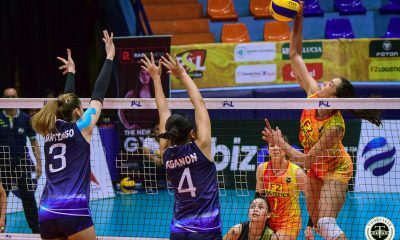 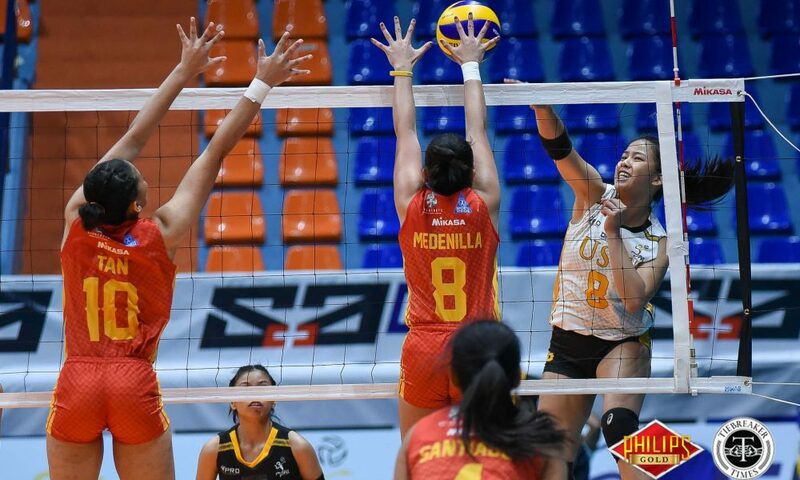 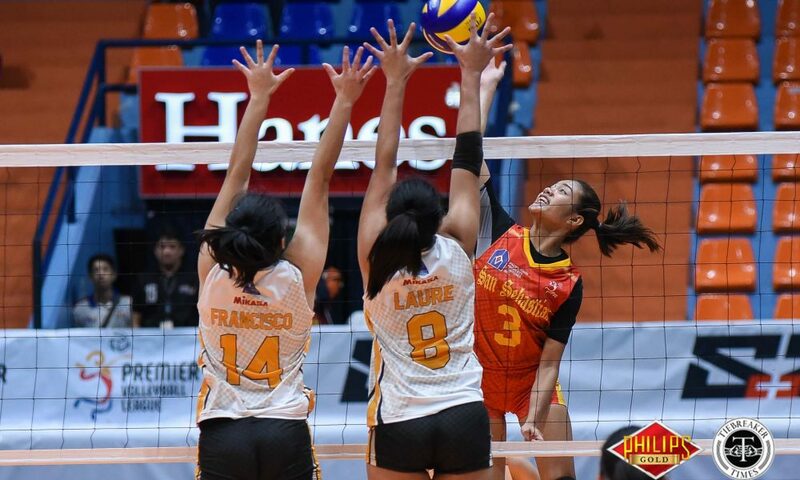 The University of Santo Tomas Golden Tigresses scored a quick three-set victory over the San Sebastian College-Recoletos Lady Stags, 25-21, 25-12, 25-17, for their first win in the Premier Volleyball League Collegiate Conference at the FilOil Flying V Centre. 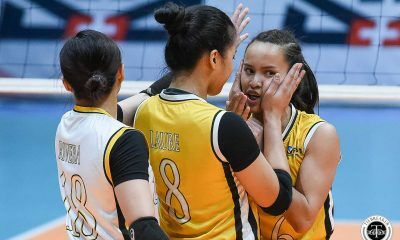 With both squads strutting out rookie-laiden lineups, the Tigresses’ blue chip recruits shined. 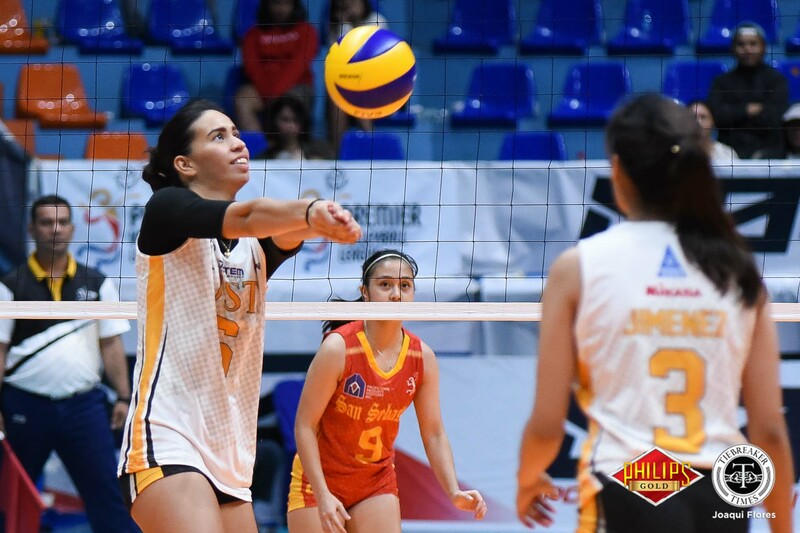 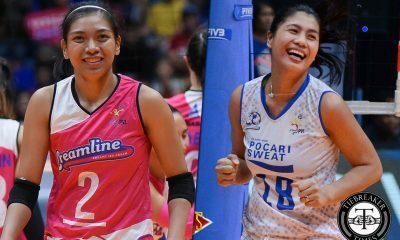 Second year Fil-Italian winger Milena Alessandrinu tallied nine points while Kecelyn Galdones added eight markers. 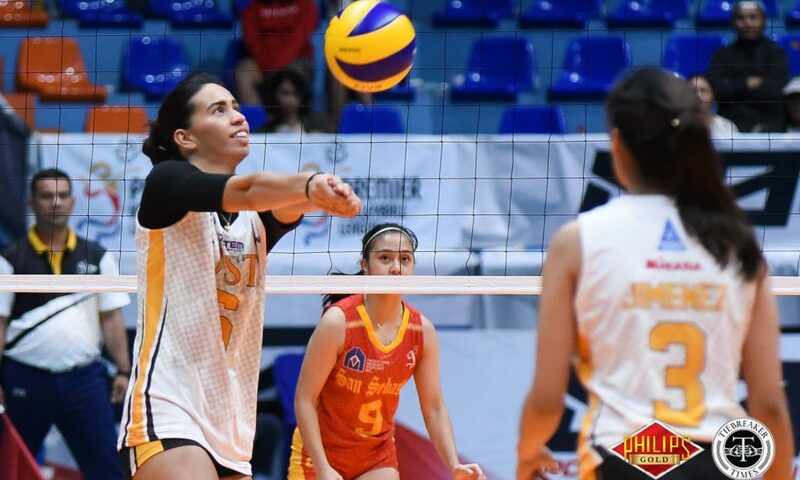 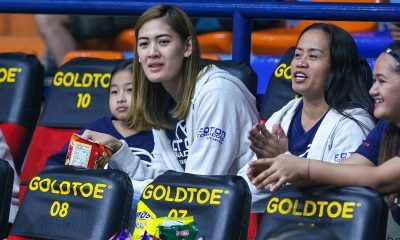 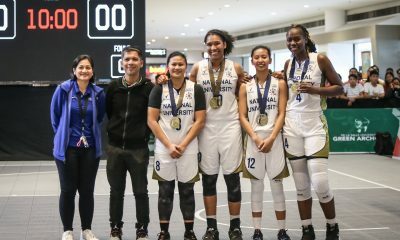 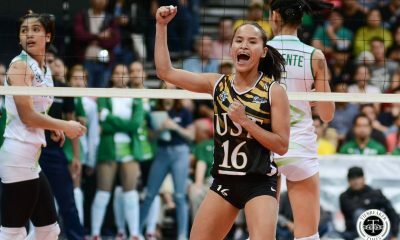 Former UAAP Juniors MVP Eya Laure finally made her seniors division debuted with seven markers for the Golden Tigresses. 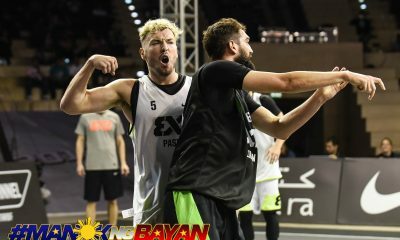 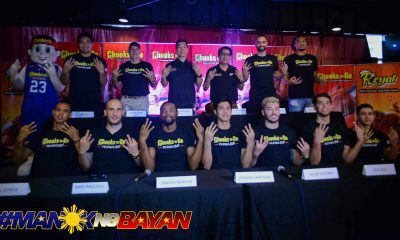 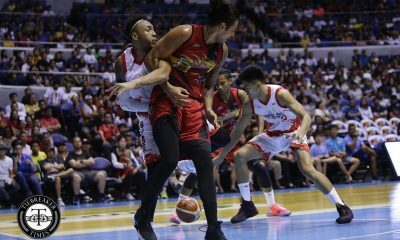 “Ilang linggo na rin kami nagpe-prepare for this. 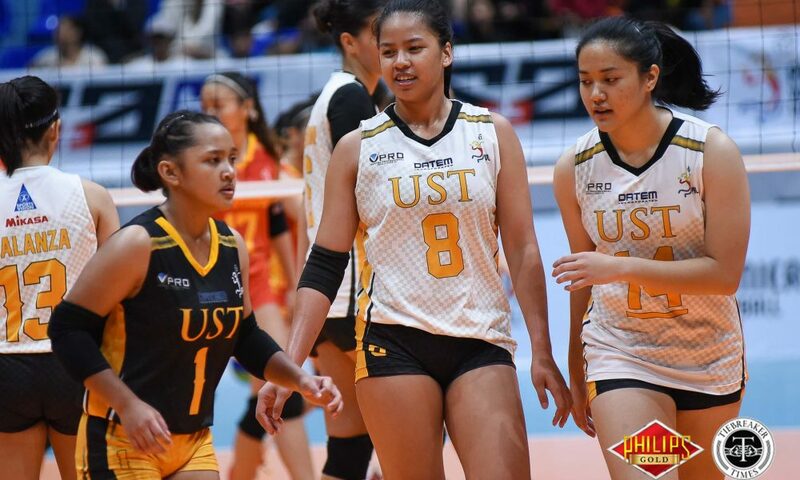 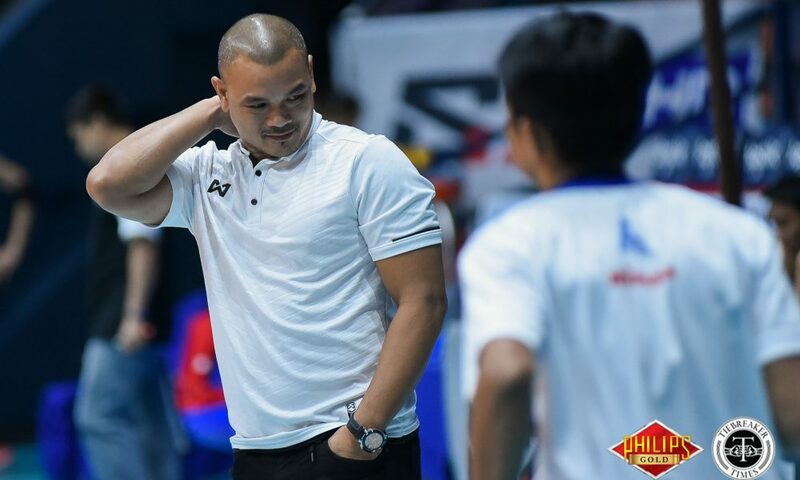 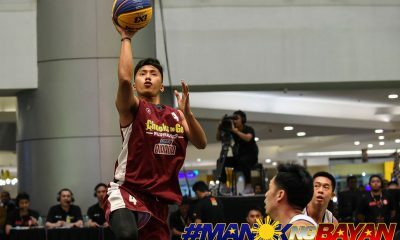 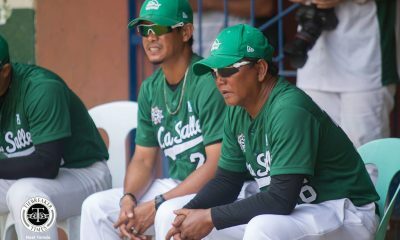 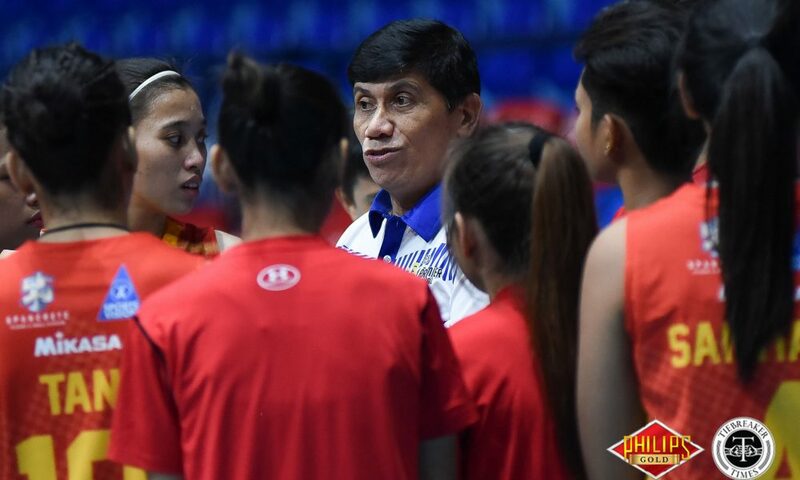 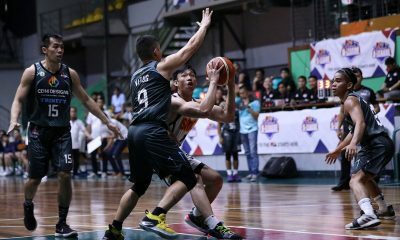 Excited nga kami makita ‘yung ilalaro ng players namin sa ganitong venue, sa competitive environment,” said UST head coach Kungfu Reyes. 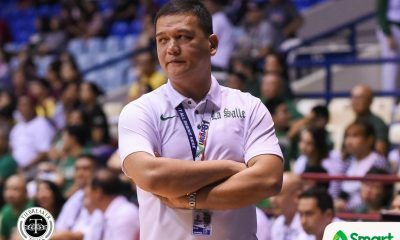 “May mga kailangan pa talagang ayusin, pero happy naman kami sa pinakita namin, overall,” the enlisted Army personnel added. 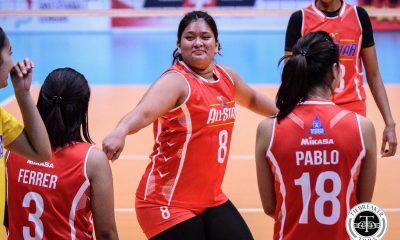 Team captain Joyce Sta. 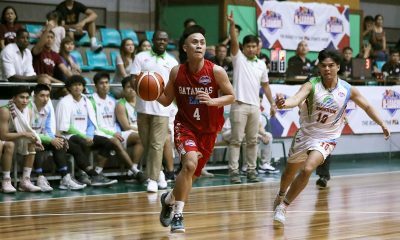 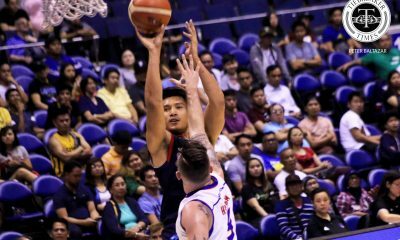 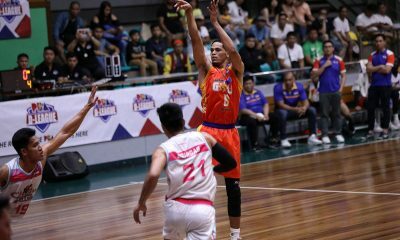 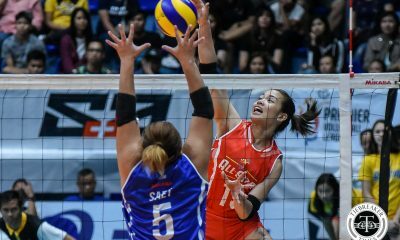 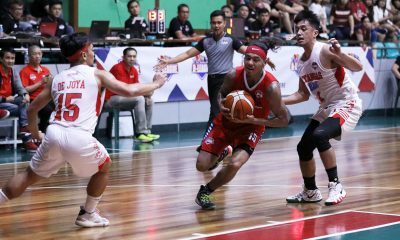 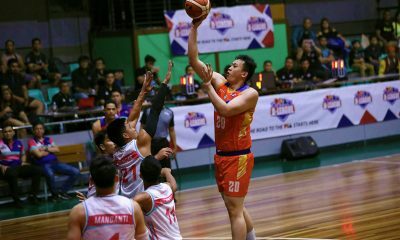 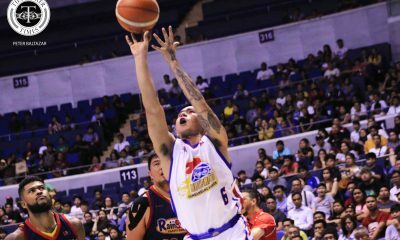 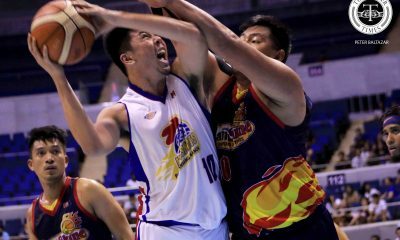 Rita led the Lady Stags with nine points while Jamille Carreon, one of San Sebastian’s 12 rookies, managed seven markers.